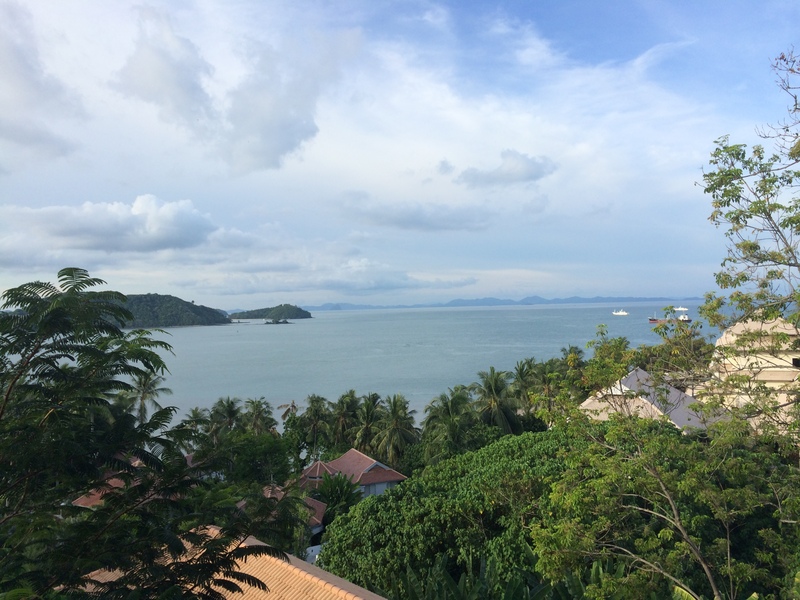 For the final portion of our trip, we flew from Chiang Mai over to Phuket. We stayed at the beautiful Cape Panwa Resort, on the southernmost point of the island (http://www.capepanwa.com/). 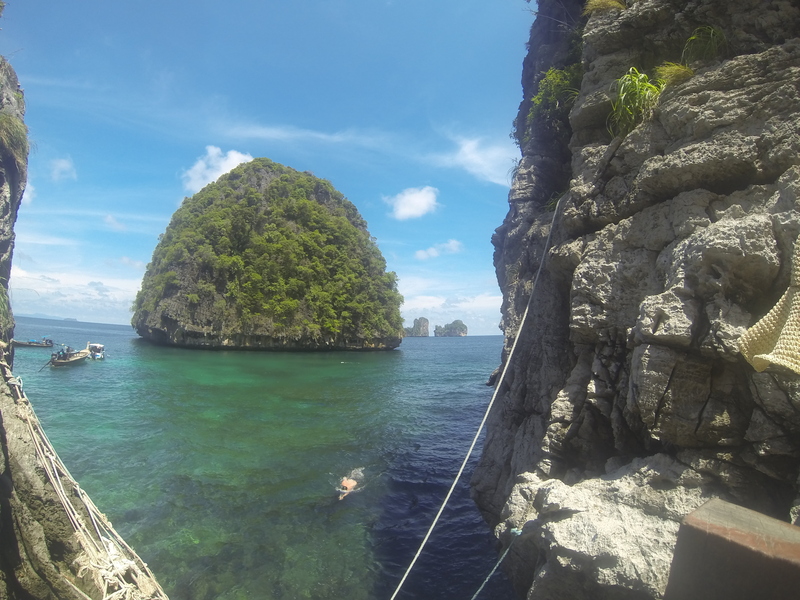 It was a great spot to get away from the hustle and bustle of the island. Our hotel had a shuttle to take us to the local town, where we had a great dinner on the beach. The view from our room at the Cape Panwa. On the first trip, we stopped at Viking Cave. 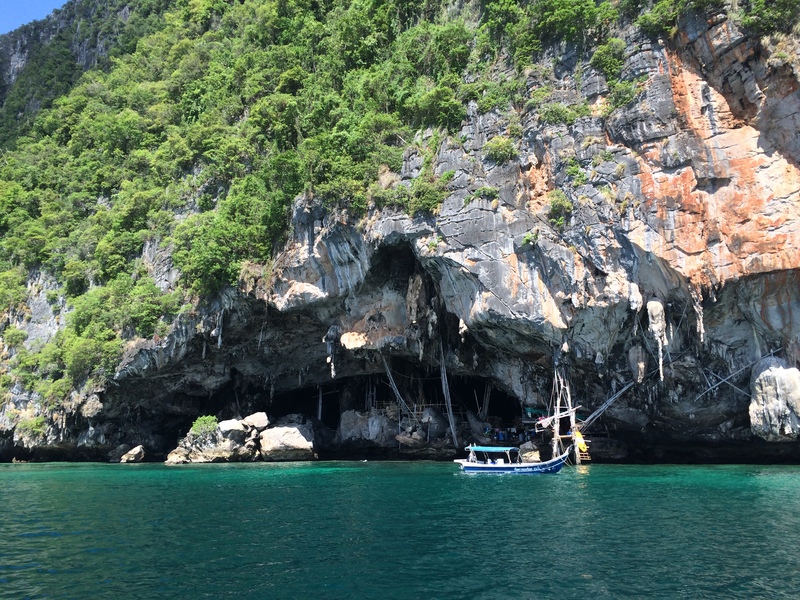 This cave is full of thousands of birds called swifts. They make nests out of their saliva, which is harvested to make bird’s nest soup, a delicacy. 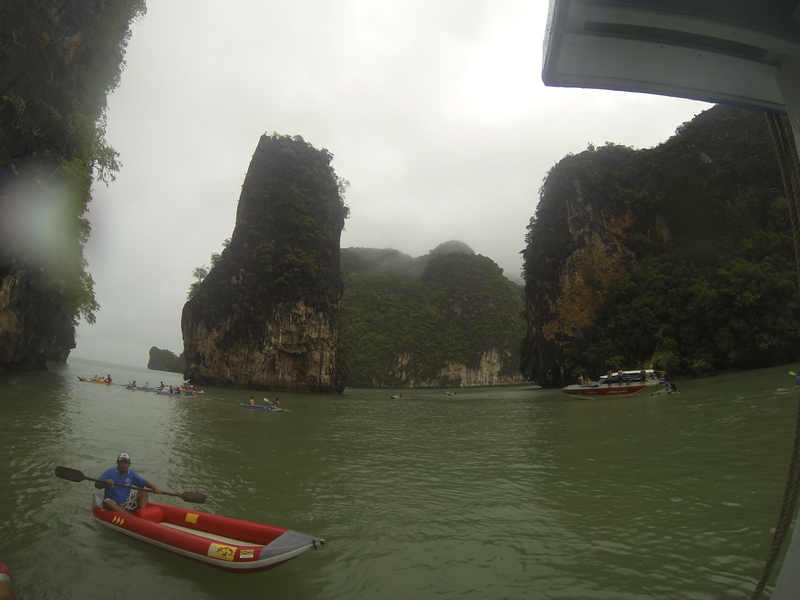 After the cave, we made a quick stop off in a lagoon for some snorkeling. 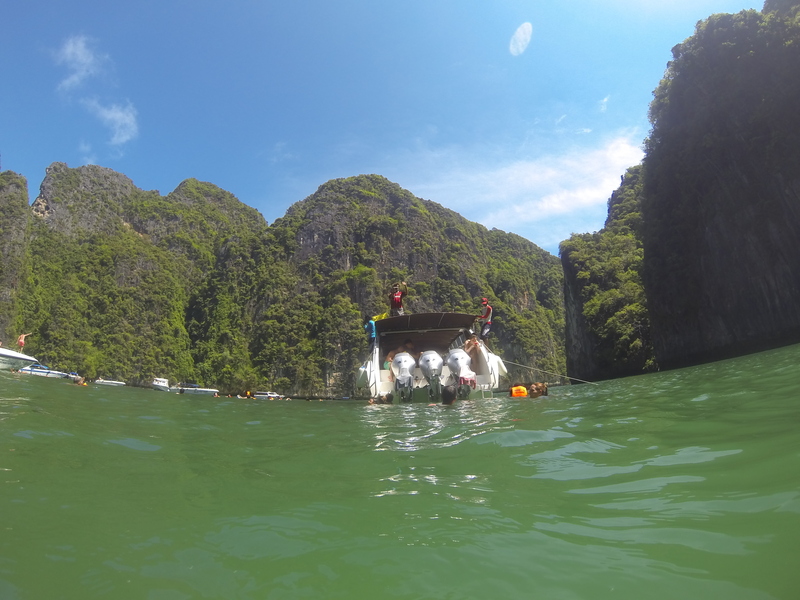 And then headed over to Maya Bay! 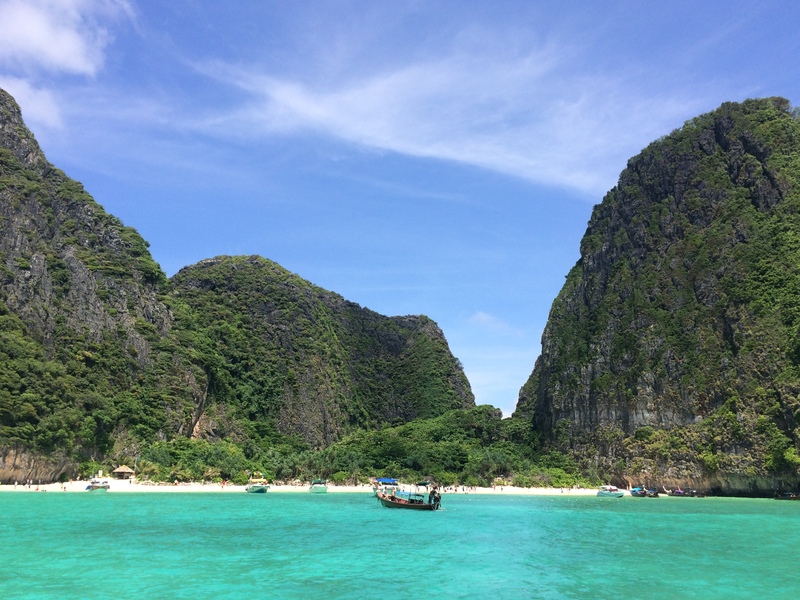 Welcome to Maya Bay, Krabi, Thailand! 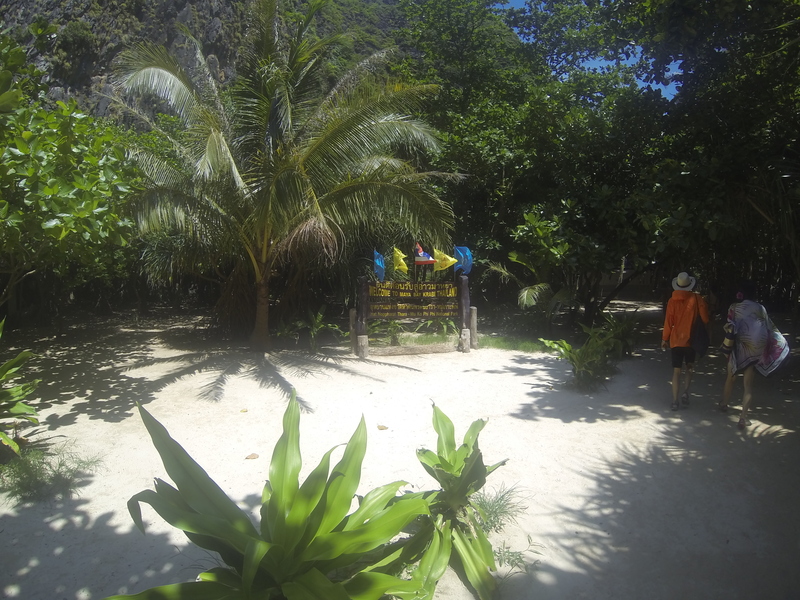 On the island, you could walk through the jungle, through a shallow lagoon, up and over some steps to a lookout point on the other side. Here is that photo! This was great fun because we were able to go close to the cliffs. 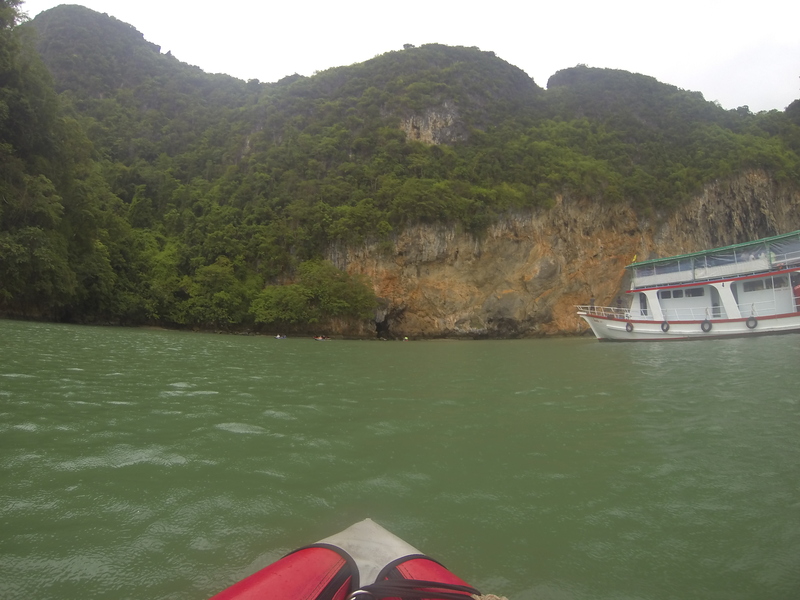 We also went through a cave where we had to lie completely flat to fit through, and then went into a hidden lagoon. The cave was also full of bats and you could hear them chirping, plus it was super stinky. 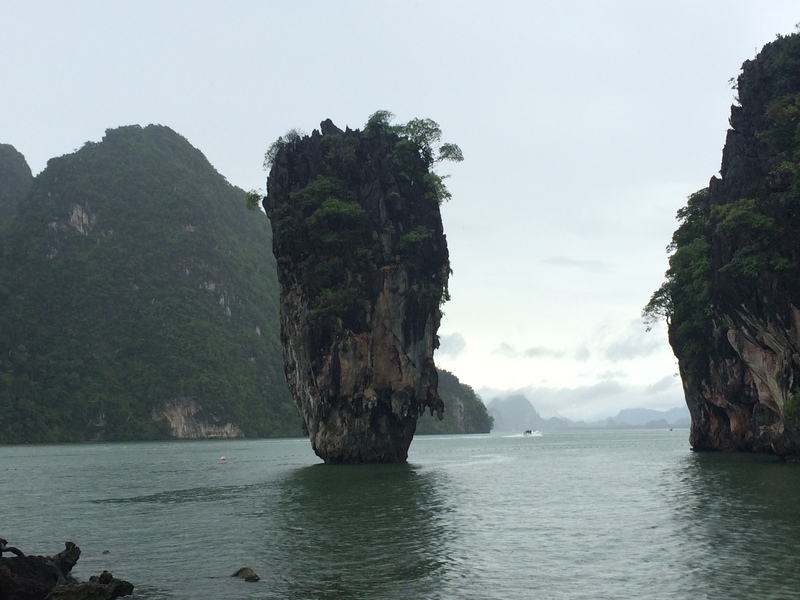 After a buffet lunch on board, we headed to the main attraction, James Bond Island, where they filmed The Man With The Golden Gun! 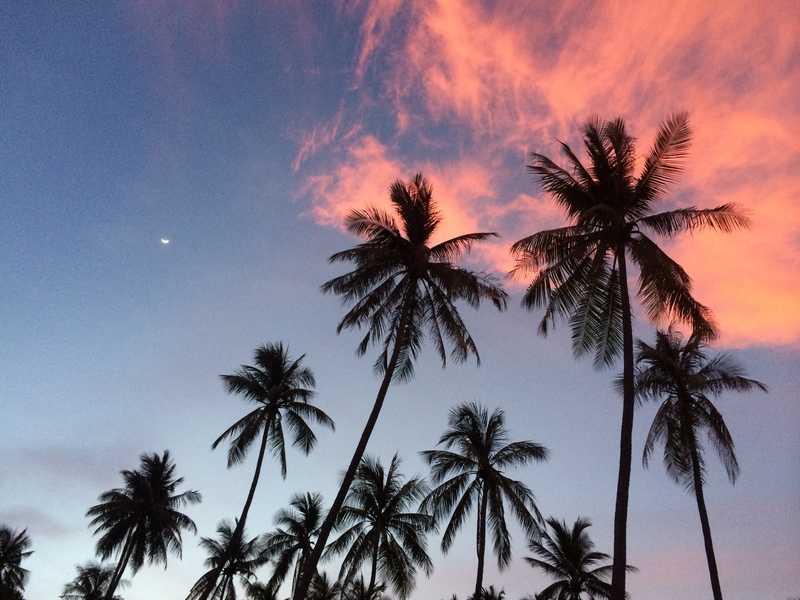 Sadly, it is a bit of a tourist trap – but spectacular nonetheless. Glad I was able to make this the final stop on my amazing trip to Thailand! !